Newbie to LZ fandom, aficionado of great bands like Rush, Yes, Queen, among others. 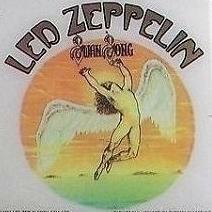 Looking forward to connecting with other Zep fans. Hey, welcome...Did you ever see Jimmy Page, Robert Plant or John Paul Jones? Nope. I'm kind of late to the party...but I'm making up for lost time. Nice to see some new blood, around here. Hope you stay a while! HOTH, happens to be one of my favourite Zep albums (easily in my top 3), apart from Presence and PG! I am known to like the quirkier albums, you know?